Truong Luu recently celebrated the first anniversary of his Issaquah Highlands 9Round franchise. A local business owner and Issaquah native recently celebrated a year of entrepreneurship after he decided to give back to his community with fitness and healthy living. Truong Luu wrestled at Issaquah High School, served in the military and continued to focus on fitness when he settled down on the Eastside. 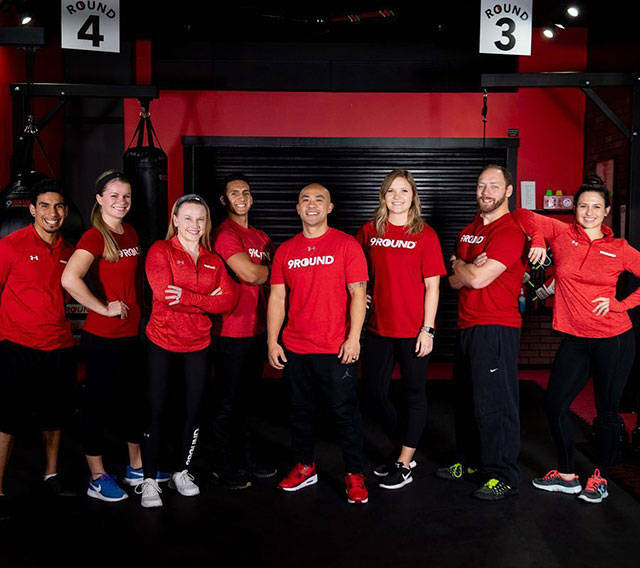 After a lifetime and career of fitness and helping others, Luu combined his two passions on Dec. 28, 2017, when he opened his own branch of 9Round, an international kickboxing fitness franchise. Luu is originally from west Seattle, but his family moved to Issaquah where he attended middle and high school. After training in the Army, Luu enrolled at the University of Washington and eventually graduated with a degree in business management and finance before settling down with an office job and starting a family. Luu’s 9Round location focuses on accommodating locals who have busy schedules. There are no set class times, and trainers are always available to help members plan their workouts. To further help those with busy schedules, the workouts are typically intense and full-body, lasting 30 minutes. While the workouts and gym itself is based around kickboxing, 9Round doesn’t host sparring, so members learn the fundamentals and fitness around the sport without getting hit themselves. Luu added that he was nervous when his business first opened in the Issaquah Highlands, but the support he found in the community and with the Issaquah Chamber of Commerce helped him feel stable. Currently, Luu’s 9Round location is going strong during what’s usually the busiest time of year for gyms. Luu said he plans to keep adapting his business, keeping it competitive and always serving its members and the community.